The Story: Competitive ice skater Tonya Harding rises amongst the ranks at the U.S. Figure Skating Championships, but her future in the activity is thrown into doubt when her ex-husband intervenes. People seem to love this movie for some reason. I thought it was okay and is sort of a one trick pony relying heavily on Margot Robbie's performance. For me, the snarky tone got old real quick, especially since we've seen this type of tongue in cheek mockumentary story telling style a few different times in recent memory, the prime example being The Big Short which is a near perfect movie in that regard. There is also an indie film I saw recently during the Portland Film Festival called Fake Blood that is most everything this movie is trying so hard to get right. While Margot Robbie gives everything to this performance, and I give her major props for the effort, I wasn't as enthralled with it as a lot of movie critic type folk seem to be. Just because she is a beautiful actress made to look like a back woods redneck doesn't automatically qualify the performance as awards worthy, at least in my book. Yes, she is good, but not great. Allison Janney is also getting a lot of hype for her performance although she just does the same bitchy mom routine in every scene and she pales in comparison to Laurie Metcalf's similar type of character in Lady Bird. 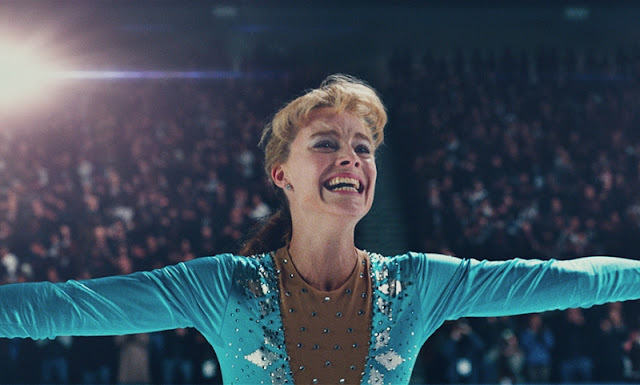 I, Tonya tries way too hard to convince the audience how super crazy the story is but we all watched it happen on TV so there's no real shock value to be had. 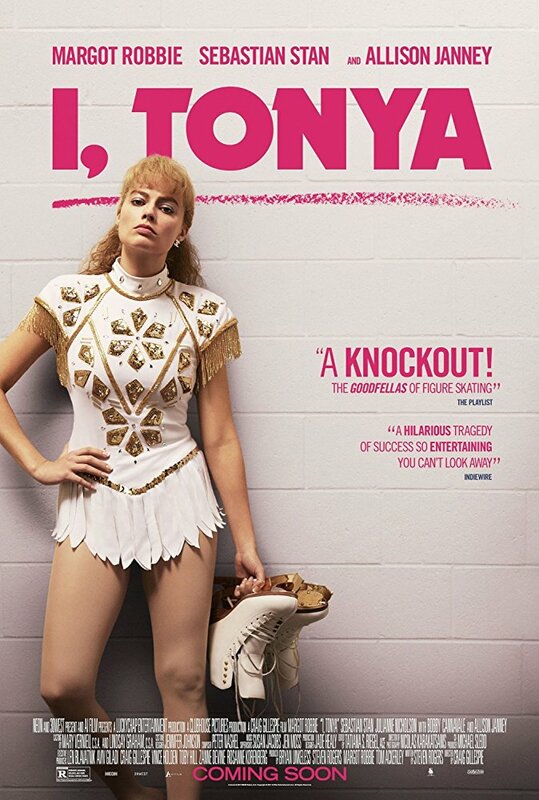 Margot Robbie as Tonya Harding is not nearly enough to save this movie from falling into mediocrity and I was left wondering what all the hype was about.